The final two months of the year in our culture seem to bear the general designation “The Holidays.” To be specific, this time of year is defined by Thanksgiving and Christmas. For the past 34 years I’ve been writing poetic prayers as a way of focusing my heart in celebration of these different expressions of his grace. This year I invite you to engage your hearts with me as we approach each of these special days. 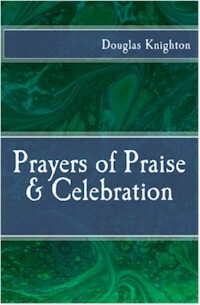 If you enjoy these prayers, you can bring them and their companions home by purchasing the newly released Prayers of Praise & Celebration (print, Kindle, Epub). The sun to rule the day, as moon does night. And cause the saved to ever seek your face. Thanksgiving comes from joy and praise combined. The joyous thanks that grateful hearts produce.